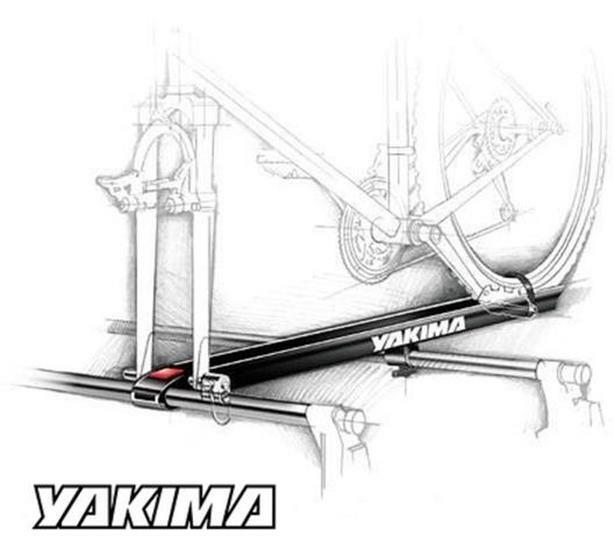 The Yakima Steelhead is a classic fork mount bike carrier. Works with most road or mountain bike forks (not compatible with disc brakes). The Yakima Steelhead bike rack is the industry standard for fork mounted bike carriers. With a metal fork block that clamps easily onto round crossbars, this bike rack locks your ride to your roof for journeys of any distance. Attaches directly to Yakima 32mmround multi-purpose base rack crossbars.